A few weeks ago I was fortunate enough to be guest of honor at a celebration at one of Hungary’s most successful weightlifting clubs, Tatabanya. This is the club that produced the legendary Foldi Imre, who completed at five Olympic games, winning medals at three. 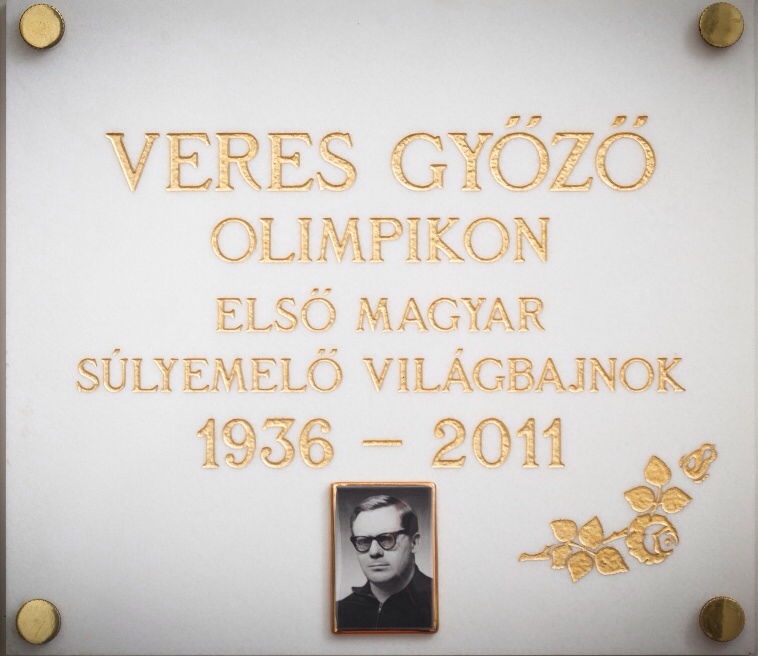 The celebration was to honor the 60th anniversary of the club, and to dedicate the training hall to the man who built it, Veres Győző. 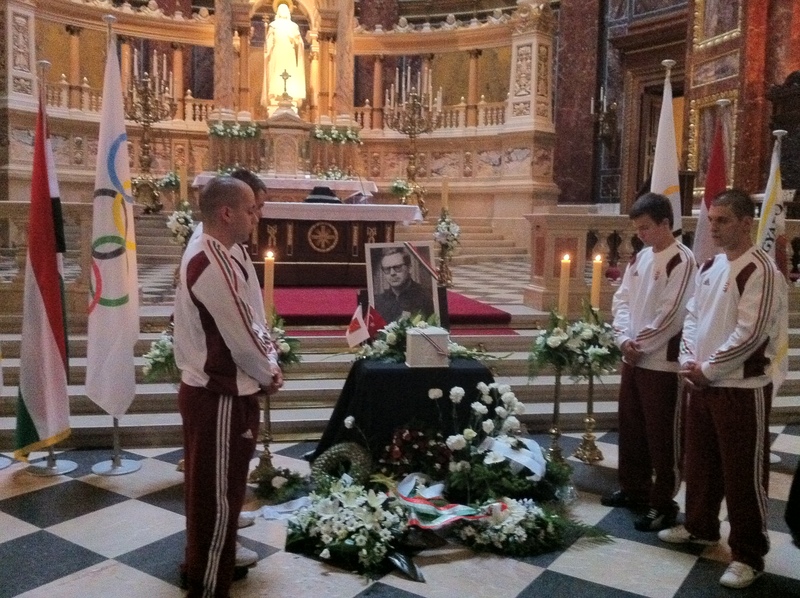 The testimonials left no doubt that the man who was single handedly responsible for the success of the club was Hungary’s first world champion, Veres Győző. It was he who drove the lifters with his incomprehensible will to achieve their best. It was he who trained them with his incomparable genius to be champions of the world. But wherever there is Veres Győző, there is a fight. There are stories of his battles against the corrupt officials of the federation, against the small minded pettiness that dominates so much of our world. We heard an amazing story of just how deeply his idealism drove him into trouble with the communist party itself. Before the 1968 Mexico City Olympics, there was a parade of Hungarian athletes before some of the central party members in Hungary. The head of the central committee, absolute leader of the communist party who was answerable directly to the goons in Moscow, came over to my father and forcibly stuck his finger in his chest with words to the effect: “we don’t fight with everyone all the time, Mr. Veres”. Then he turned around and walked off without any attention to any other athlete. I think he was trying to make a point. I have a profound sense of sadness at the loss of such a truly heroic man. I know it is a cliche, but I feel that I did not really know my father until after his death. Until after I traveled to the country where he was once so great, and met the people who knew and loved him when he was great. They loved him for his pure, brave and un relenting spirit. I imagine that no one in Australia ever really knew him either, since he was so quickly ushered into obscurity there. It is a personal tragedy that I did not know THIS man. All I knew was a disillusioned, defeated immigrant who clung onto his pride by working 12 hour days as a world champion car cleaner in a cold, dingy washing bay at the back of a car dealership in Moorabbin. It is a tragedy that I benefited so little from his coaching genius as a young lifter, pushing around rusty old weights in our back yard. I would start training in the afternoon, and my father would come in to watch me briefly over a bottle of beer before going back to his car cleaning workshop next door. He had so little time for me, as he slaved late into the evening. Once I moved to training at my school and then University, he never had the time to come and watch me train again. But to claim this story entirely for myself, as a personal tragedy, would be selfish. 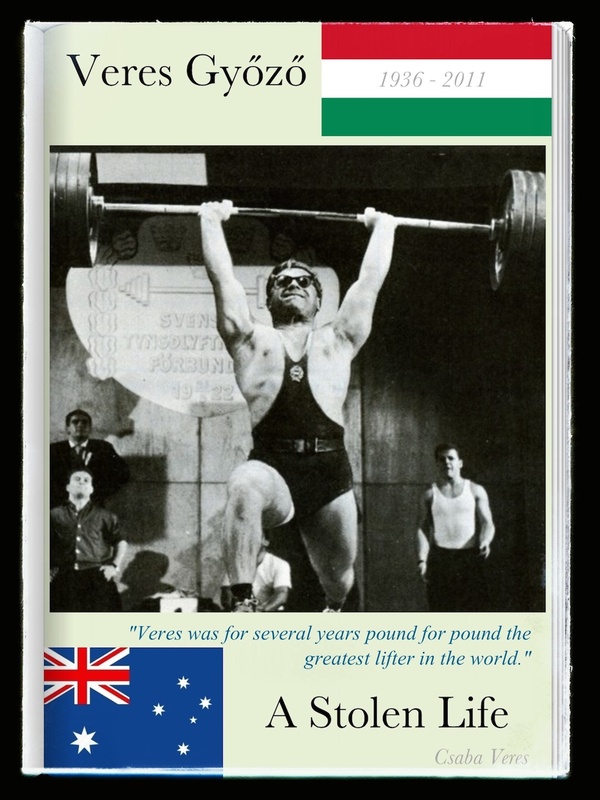 It would be disrespectful to the generations of talented Australian weightlifters who were also deprived of the genius of this man: a man remembered by the International Weightlifting Federation as one who “laid the foundations of modern weightlifting”, whom the “weightlifting community considered … in his time as the most influential figure on the international stage”. What a waste of young lives, a waste of a great and rare opportunity to achieve glory once again in an obscure land. How can any of us rest in peace now?